To help alleviate carpal tunnel symptoms, I’ve recently made a conscious effort to utilize more keyboard shortcuts over the typical mouse gestures when I’m at the computer. 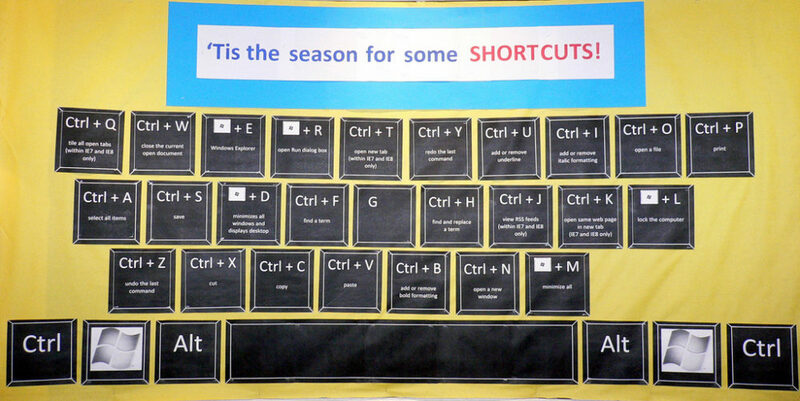 Following are some quick and easy computer shortcuts for you to try. Bonus: The keys communicate faster with the computer than the mouse does, so you’re also saving time! Hold down CTRL+MouseButton — you can change the size of your font. quick & easy that way! The ALT key toggles the drop-down menu items. on and off. Simply use your right/left/up/down arrows after clicking and releasing the ALT key to access any of the menu items up top. (ALT+first letter of the menu item works too, but the other way is faster. Instead of clicking on the BACK button with your mouse, click the ALT+LeftArrow (to go back) or the ALT+RightArrow (to go forward). You can get yourself out of most jams with this keyboard shortcut: CTRL+Z. It simply “undoes” whatever you’ve just done… (This works even in situations where there is not typically an “undo” button option!) The reverse works too: CTRL+Y is the same as “redo“. READ: Did You Accidentally Delete Something On Your Computer? When you’re on the Internet, in your browser window you can use F5 to ReFresh (bring up the most recent version of this page from your computer’s cache/memory) or CTRL+F5 to ReLoad (bring up the most recent version of this page from the owner’s computer server). ALT+TAB is the quickest way to see everything you’ve got open on your computer and choose which program you’d like to go to. You’ll see an icon for each open program and its description. CTRL+TAB shows you all of the browser windows you currently have open and lets you switch between them. Some Internet sites set their default so that any time you click a link on their page, it automatically opens up that link in a new, separate browser window. This is good, so you never lose sight of the page you were initially on. However, for sites that DON’T do this, you can do it yourself with a simple “SHIFT” before you click on any hyperlink. ALT+HOME takes you back to your default homepage. Use SHIFT+F10 to bring up the “advanced features” for whatever page is currently on your computer screen. It’s the same as a Right Click. I’m always surprised by how few people even know that these “advanced features” exist! If you’re a beginner, try Right Clicking anywhere and everywhere — until you get a feel for all the places you can find “advanced features”. If you’re a routine user, start using SHIFT+F10 to save yourself some clicks. Whenever you need to minimize everything in a hurry to get to your desktop, use the ALT+M computer shortcut keys. Use CTRL+A to select all of the copy in a document or browser window. From there, you can use CTRL+C to “copy”, CTRL+V to “giVe/paste”, or CTRL+X to “cut”. ALT+ESC shuffles between all of the programs you currently have open. Do Computer Shortcuts Really Make Life Easier? Yes, as the publisher of 32 websites, I find that computer shortcut keys are my best friend when I’m working long hours on my laptop. They save a lot of time! The simple act of using the mouse to “hone in” on the precise area of a “button” in order to activate a particular task puts undue strain on your wrist and nerves. Due to the sheer number of such movements associated with using the mouse, if you are a frequent computer user, and you primarily use the mouse for the majority of your computing tasks, then carpal tunnel syndrome is likely in your future if you don’t use computer shortcut keys. Try out some new keyboard shortcuts like those listed above. They can’t hurt. And your wrists will thank you! Here are a few other ways to treat carpal tunnel. 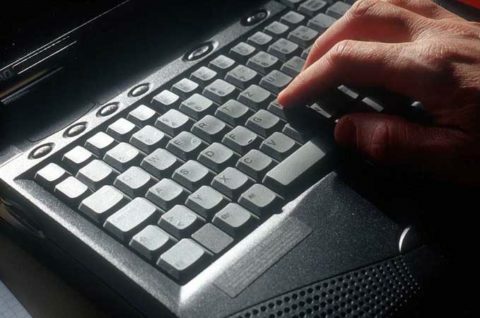 Here are other ways using computer shortcuts can improve your health.